My friend, in high school, introduced me to this pretty neat game she had picked up. 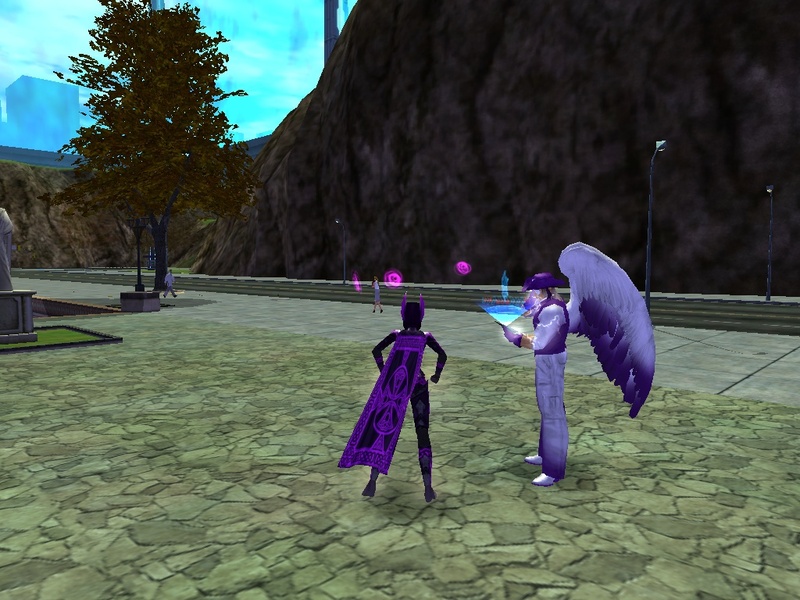 It was a game you played online, like the MUD we hung out in or out AIM chats, and you could be a superhero. Pretty sweet. I watched her play and I knew I had to get that game to play as well. How could I not? 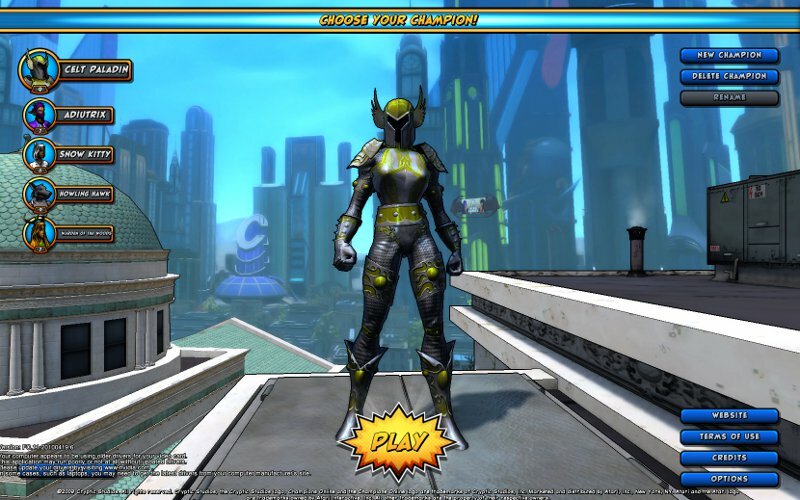 Neat graphics, but more importantly you could be a super hero. 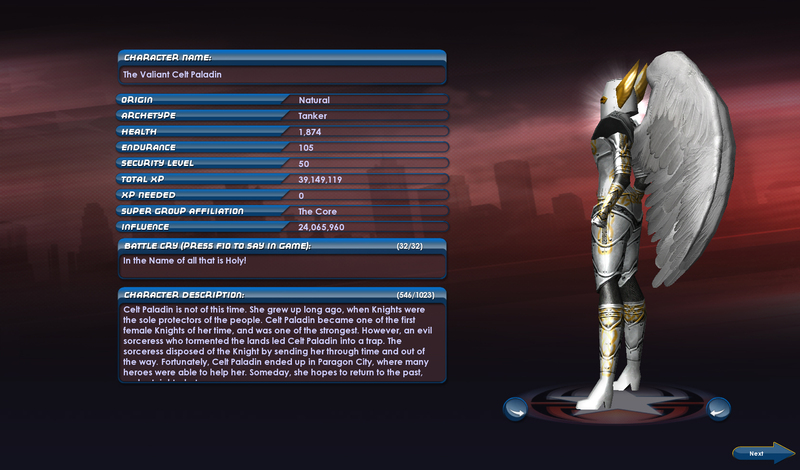 Such was my introduction to the City of Heroes. I don’t remember if I had purchased the game right away or didn’t receive it until that Christmas (it was likely the latter). I do know I never played it while school was in session; my parents wouldn’t allow it and I couldn’t afford it (money and grades wise. Given the choice between homework and fun MMO, I think I would’ve picked the MMO every time). 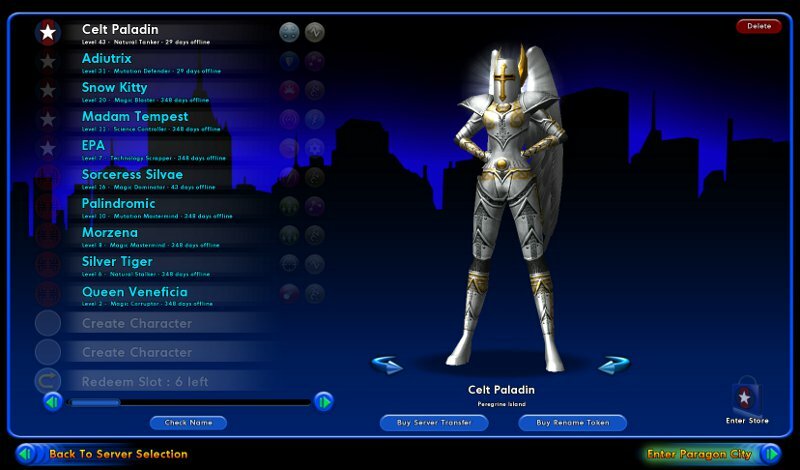 But the times during the break I played a lot of CoH. It was fun. My first character I made as a tanker, like my friend’s fire/fire tanker. Of course, I picked one of the worst combinations (Mace/Earth), but it made for a great character concept. Thus Celt Paladin was born; a knight out of time and place. I made many other characters there as well; Audiutrix, a healing/dark mutant who’s face is creepy enough that it’s always hidden. Snow Kitty, plucky young student who studies magic on the side. Madame Tempest, a government scientist harnessing the power of weather for good. The EPA – that’s right, the Environmental Protection Agencies own super hero (I don’t think I played on her very much, but the concept still makes me grin). Oh the fun we had, joining exciting mission teams with others (CoH definitely encourages teaming with others, especially when your tank has trouble killing things or your blaster (or blapper, as they might be) keeps getting killed. Task Forces — a series of missions in a related story, likely to take down a named villain of some kind — were very fun too, if you had the time to sit down and do them. And my friend often did this thing called a ‘Hami Raid’ with the super group, that I only recently got to experience. 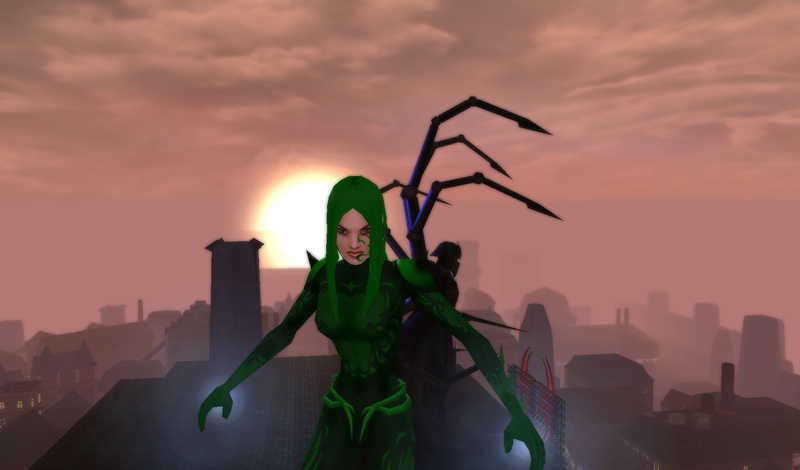 That’s right, my friend was Level 50 long before I even got there, yet due to CoH’s innovative mentor/sidekick system, she could still play with me and vis versa. Few games have implemented a system like that, which easily scales your enemies and teammates to the appropriate level for the encounter. They later changed it to be even more convenient, something I wish other games would do even more. And much of that took place before the City of Villains expansion, for which I was quite excited. 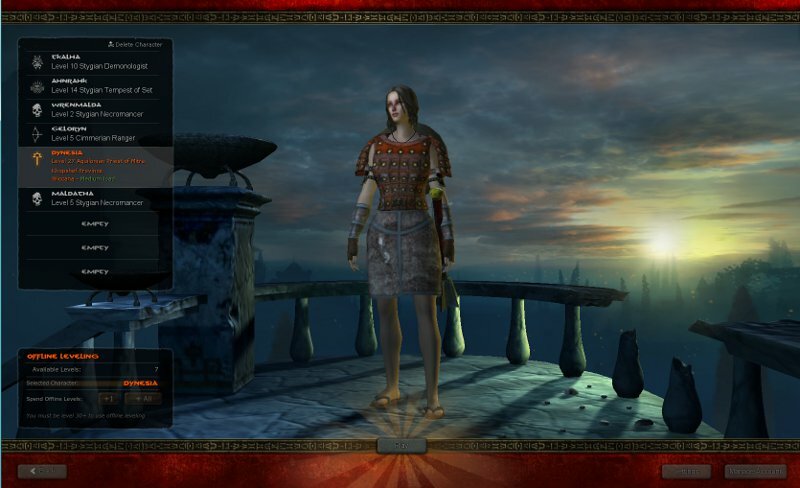 I made Sorceress Silvae, Celt Paladin’s ancient rival who for some reason also ended up in the same future. Silver Tiger, a stylish ninja fighter who for good amongst the bad. Palandromic, the mastermind of symmetry, with her minions HannaH and TattarrattaT (and more recently, ReinieR). Palindromic and her ninjas – HannaH, TattarrattaT, and ReinieR. The gameplay still works great. The leveling can be a bit grindy, but the game has so many good bones that many other games have either copied or never picked up for themselves. Achievements? Please – CoH had badges since forever! Travel powers? 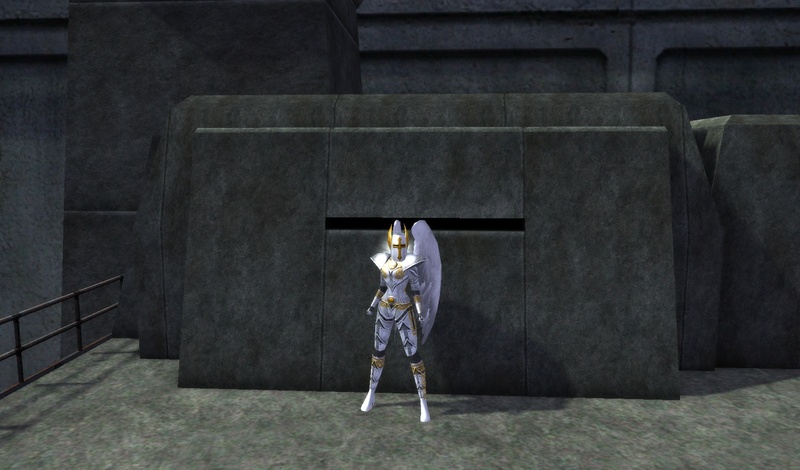 Only other super hero mmos grabbed these, and not quite the same way. The enhancement/power system is still complex, with many interesting and challenging character builds available. I still get moments of awe and wonder when someone who has a powerset I don’t comes around and does an awesome ability/buff that makes me go ‘I want one of those! 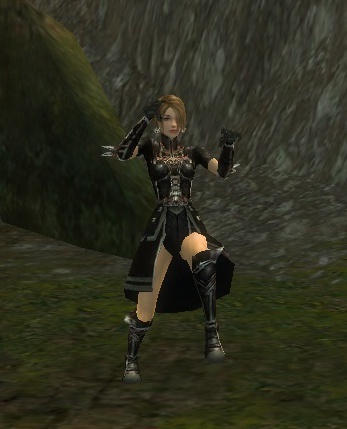 (Too bad I’m slow at leveling, because all the cool powers are the last you get)’. This is partly my fault, in theory — I haven’t paid for the game in ages. I had just started playing again with my friend, having resolved the next time we’d play I’d start paying small amounts of money to reinstate my invention usage. And then out of the blue they announced they were shutting the game down. Just like that. Obviously they aren’t going to change their minds about this, no matter the amount of protesting done. And no one wants to buy it (or could afford to), and they don’t want to sell. 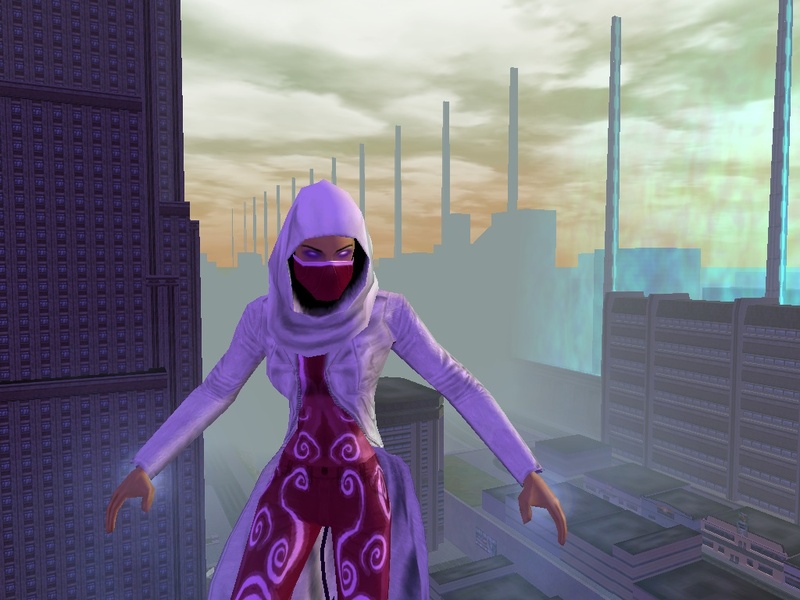 City of Heroes IP will be locked away and we shant see it again, the original and perhaps best super hero MMO, even though we’d like to. What surprises me the most is that they just pulled the plug. The dev team was taken by surprise (I think), to hear that they’re somewhat profitable game was getting the can, along with, you know, their jobs. Apparently the people at the headquarters were just looking at some bottom line somewhere, that they didn’t even attempt to rework how things were going or cut the dev staff and development of the game (because I’m sure people would be alright with little new content, or less new content in general). Instead the whole game is just gone. Awful. And CoH didn’t show the signs of an MMO that is going away, at least not the typical ones. The dev team was working away on a new release that they had been promoting just days before it was announced the game would shut down. There were no mentions of loss of profits, no desperate server moves, no doom and gloom talk making their way around the interwebs. Just one day it was said it was shutting down, with little reasoning nor fanfare. There are many aspects of the game I will never get to see. I had not been playing when the Going Rogue expansion came out, and now I wish I had (of course). The Praetorian Earth storyline seemed really neat, and the ability to switch some heroes or villains to the opposite side seems like it would’ve been nice to try out. Plus many options that were available previously (such as becoming a Peacebringer) had been locked from those without paying accounts. Now with the store gone, it is impossible to try out these forms of gameplay. But even with that there is still so many things to do in just a few short days. My friend and I are spending some time playing the game again, maybe as a way to say goodbye. I know it’ll be harder for her than it is for me. She’s been max level for a long time. The game — and the people in it — helped her through some tough times during college. It’s been a long goal of her to get my main, Celt Paladin, up to level 50 instead of sitting at the mid-fourties like I have for years, which was finally completed when I dinged to 50 this weekend after a two month-long effort to get her there. It’s always been there as a backup, something to pull out and play again. Maybe that’s what makes it shutting down even more bitter. Not like an old console game you can pull out again to relive the memories. Once it’s gone it’s gone. Will I boycott NCSoft? Probably not, unfortunately. I enjoy some of their other games, mainly Guild Wars. But will I forever associate them with this decision, to shut down a game before it’s time? Yes. And will I trust them not to be so callous with their other games? I don’t think so. Will I be the first to jump on their new MMOs and games, whatever they may be? I don’t think so, either. 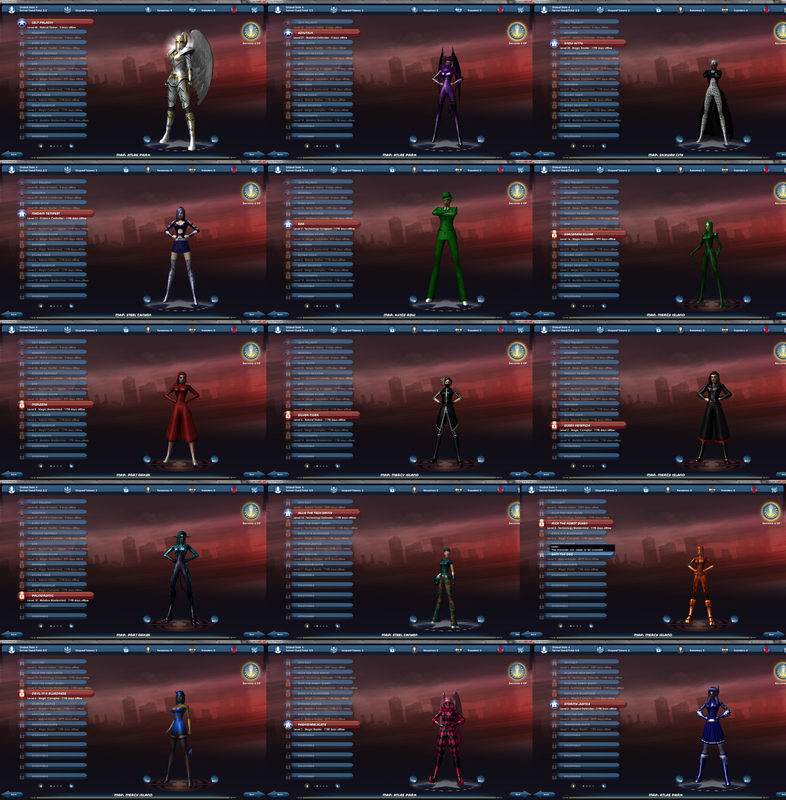 Most of my City of Heroes characters, posing with their awesome costumes.